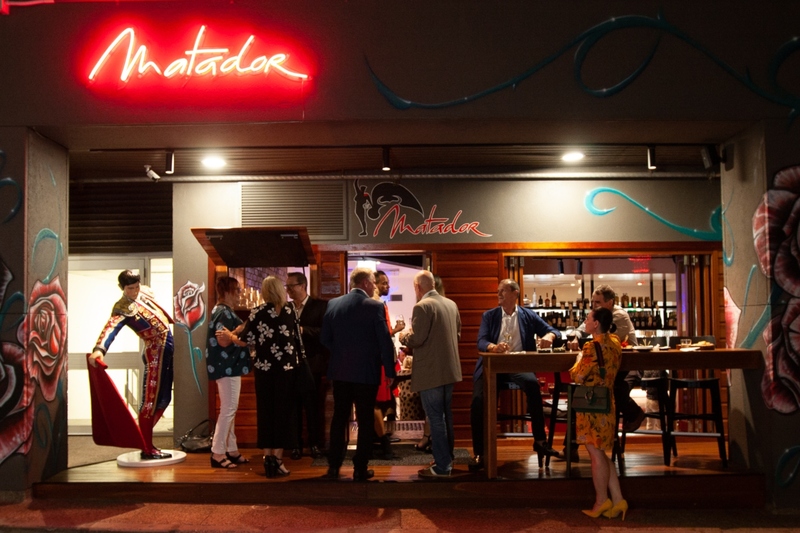 Get ready to rumble, Brisbane – we’re raising the red flag to signal the arrival of El Matador, the delightful new tapas bar making a run of the town from the CBD’s bustling Burnett Lane. A quick mino-tour of this jiving bar reveals an intimate yet spacious venue filled with cosy booths, banquettes and, of course, a stunning cocktail bar that fronts an open kitchen boasting a striking humidor and Pira oven straight from Barcelona. A conquistador of Spanish cuisine from morning to night, early risers can enjoy authentic continental pastries with coffee while night owls can’t go past their cocktail selections and extensive pintxos and tapas list; think drool-worthy patatas bravas, three-cheese tarts of baby fig and honey, and Sunshine Coast Padrón peppers, perfect for those after a post-work snack. Those on the 9–5 grind can also rejoice! Before you hit the bull pen, ride on into El Matador for their equally delicious breakfast menu consisting of corn fritters with smoked pimento labneh and Spanish blue cheese, classic Spanish tortillas, and even a sneaky Cava Bloody Mary from 7am. 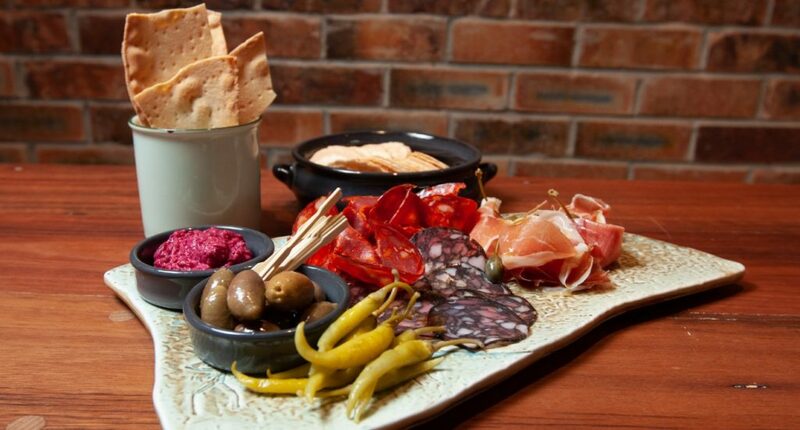 Where El Matador truly strikes the bullseye, however, is with their heartier Iberian feast options! Their Spanish-Australian seafood offer is a fiesta for the senses, combining Shark Bay scampi, Moreton Bay bugs, Eastern rock lobsters and Queensland prawns served on ice with creamy salmarejo, aioli, and lemon or a la plancha with garlic butter. Don’t stop there though, Brisbane – we haven’t even gotten to the meat of the matter yet! These guys are raising the deli game with their humidor housing some of the finest jamon, La Boqueria Provisions’ Trufa salami, Rangers Valley pure Black Angus tomahawk, and most notably, a stunning crispy-skinned suckling pig all the way from Segovia in Spain. Throw your hat in the ring, Brisbane – it’s time to come face to face with El Matador.